Small and medium-sized enterprises have a poor record for investing in employee wellbeing. Andrew Harris, workplace health and wellbeing specialist at Fit for Work, looks at the barriers they face and how to overcome them. Almost two-thirds of our waking lives are spent at work. This makes the workplace one of the best arenas to influence positive health and wellbeing. Why, then, does the cost of employee ill health continue to spiral out of control? Every year, UK businesses lose 131 million days to sickness absence (ONS, 2014). This amounts to a median cost to employers of £11 billion per year (XpertHR, 2015). But how much of this money did we actually have to spend? In today’s business arena, more than 99% of private companies can now be defined as small and medium-sized enterprises (SMEs). The backbone of our economy, it’s a sector bursting with talent, entrepreneurship and potential. It is also one of the worst performing in terms of employee health outcomes, with one-third of SME employees experiencing a mental health problem during their working life (CIPD, 2016). As evidence mounts, the issue of employee health and wellbeing is one that all businesses must start addressing. Yet the day-to-day pressures of running a small business often mean that a proactive and strategic approach is rarely seen as a priority. The reality is that for many SMEs, the introduction of a health and wellbeing programme too often comes down to issues of size, culture, budget and resource. Fit for Work was launched in 2015 by the Government to provide support on workplace health to GPs, employers and employees. The Fit for Work team understands the barriers smaller organisations face when it comes to addressing employee health. Our “show-not-tell” approach will help them to overcome these barriers – because an investment in employee health and wellbeing is the best business decision you will make this year. The fact is that taking the time now will save you time in the future. Committing the time to identify sickness absence trends and to assess the health and wellbeing priorities of your employees could help to prevent the loss of productivity in the future. Prevention is cheaper than cure. With the average seven-day absence costing £8,000 (HSE, 2013), and the recruitment of a new team member up to £30,000 (Oxford Economics, 2014), employee health should be seen as a business investment like any other. The outputs are reduced sickness absence, increased staff retention and enhanced employee engagement. Not only does this save you money, it makes you money – with researching showing that safe and healthy workplaces generate 4% higher profit margins and 20% more revenue per employee (Towers Watson, 2012-13). You also don’t need a big budget to make a big difference. There are a wide range of options that you, as an employer, can offer at little-to-no cost. Making simple workplace adjustments, offering flexible working hours and ensuring that your employees take a lunch break are all cost-effective, quick wins that start to sew the seed. If you wanted to go a step further, the British Heart Foundation, National Workplace Challenge, Workplace Wellbeing Charter, and Public Health England all offer free, accessible, evidenced-based health information for you and your team. Giving your team the chance to fill out a simple, five-minute health needs assessment will help you identify their needs and priorities. It’s a great way to get your staff engaged and to find the right starting point for your programme. The reality is that designing a wellbeing initiative usually requires expertise and experience beyond the skill sets of those employed within the organisation. Don’t be afraid to bring in outside help. It makes good business sense to select dedicated experts to ensure your initiative succeeds. Your team is what’s in it for you. A recent report found 81% of employers use employee benefits as a tool to retain top talent (Employee Benefits, 2016). What’s more, by continually demonstrating a sincere interest in the health of your employees, you will increase morale, motivation and productivity – and that’s got to be good for business. Remember that well-known saying: “If at first you don’t succeed…”? The fact is that the long-term success of any health and wellbeing programme will ultimately come down to organisational culture, and the attitude, determination and conviction of those at the top. There is no “one size fits all”. It is about finding the solution that works for you and your team. You might not get it right first time, but rest assured, it will be worth it when you do. Office for National Statistics (2014). “Sickness absence in the labour market”. XpertHR (2015). “Sickness absence rates survey”. CIPD (2016). 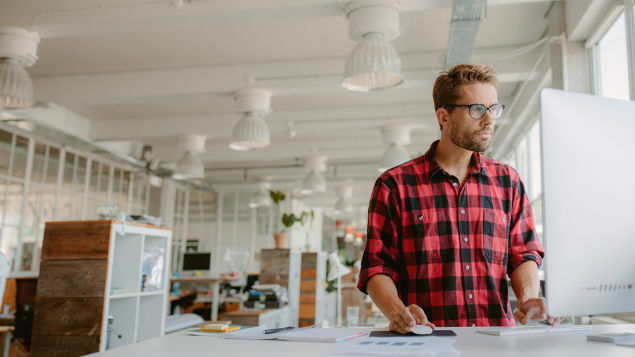 “Employee outlook: focus on mental health in the workplace”. Health and Safety Executive (2013). 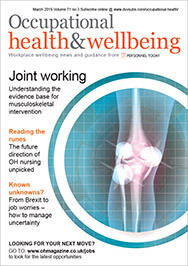 “Costs to Britain of workplace injuries and new cases of work-related ill health”. Oxford Economics (2014). “The cost of brain drain: understanding the financial impact of staff turnover”. Towers Watson. “Health, wellbeing and productivity report 2012-13”. Employee Benefits (2016). “Benefits research”. Published June 2016.